Somehow my standard summer holiday of travelling aboard to explore the unknown country has changed into a totally different program of intensive Chinese feng shui study. It happens when a friend introduced me to a feng shui master who is known for his accurate prediction and I was invited to attend his class. Once there, I found myself at a strange space, the spoken language was almost out of this normal world – classic Chinese that is only used in the ancient times and a lot of talks which I had no clue at all. In my mind, Feng shui was simply associated with furniture arrangement, i.e. where to put our bed or mirrors. Very soon I found there were so many misconception about it and I was of course totally wrong. Feng shui is an ancient art and science, originated in Chinese astronomy and developed over 3,500 years ago in China. It is a complex body of knowledge that reveals how to balance the energies of any given space to assure health and good fortune for people inhabiting it. The oldest examples of instruments used for feng shui are Liu Ren astrolabes. These consist of a lacquered, two-sided board with astronomical sightlines. It is determined by relationships of five elements (wu xing 五行) and yin and yang (阴阳) between and among the Three Transmissions (San chuan 三传), Four Classes (Si ke 四课), Twelve Generals, and the Heaven and Earth Plates. Each double-hour of the day contains a cosmic board for daytime and evening divination. The Three Transmissions are derived from configurations of the Heavenly Stem of the date, and the Earthly Branch of the date. The Four Classes are determined in a similar manner. As you might already guessed, it is extremely difficult to learn and I have been struggling with the class. After 1949, feng shui was officially considered a “feudalistic superstitious practice” and a “social evil” according to the state’s ideology and was discouraged and even banned outright at times. 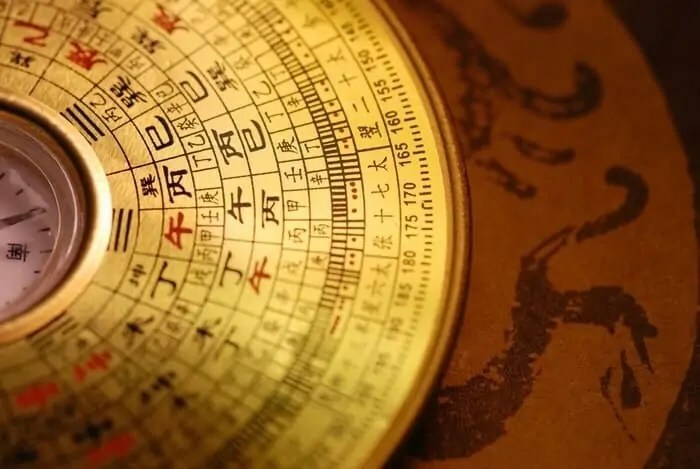 Now in today’s mainland China less than one-third of the population believe in feng shui, since it may have connotations of being a superstitious scam, which arose from improper usage and scams by new practitioners. In the west, feng shui has become an aspect of interior decorating and alleged masters of feng shui now hire themselves out for hefty sums to tell people. Donald Trump, for example, believes his frequent use of feng shui has helped him boost his bank account. “I don’t have to believe in Feng Shui,” the billionaire says. “I do it because it makes me money.” Microsoft founder Bill Gates, one of the richest men in the world, is also a fan of feng shui. His home is said to be located at an ideal point in the hills according to feng shui principles, with a mountain behind it to offer protection and support, and a dragon and tiger on each side of the home is believed to energize it. Lake Washington in front of it rounds out the energy. Feng shui has now become a kind of metaphysical products…offered for sale to help you improve your health, maximize your potential, and guarantee fulfillment of some fortune cookie philosophy. But is not always looked at as a superstitious scam. People of Chinese descent, believe it is important to live a prosperous and healthy life. To believers, they use it for healing purposes in addition to guide their businesses and create a peaceful atmosphere in their homes. Recently Chinese academics were permitted to research and study the historical feng shui theories behind the design of heritage buildings, such as Fudan and Tongji University. Now thinking back, perhaps this is my fate? After all, learning feng shui is still somewhat considered taboo in today’s China and few people have the chance of getting close to this subject. When I started my journey into this mysterious world of feng shui, I began to investigate the truth or falsehood of what I had heard and tried to find out the real answer through studying it. In the end, the most fascinating part was actually the chances of meeting some of the most unique Chinese people during this 3 months study. “My life was full of up and downs,” Ren Rongfei says, he is a renowned Feng Shui master in Shanghai. During the culture revolution his Shanghainese father was sent to the countryside like millions of young Chinese. Therefore Ren spent most of his life in Jiangsu, but eventually he came back to Shanghai for university study. Ren’s interests of started when he discovered a classmate’s father was practicing Feng Shui as a trade. Immediately he found it was very interesting and started years of study about feng shui learning, thus his life was destined to be changed by it. Unlike most of the parents in China who worries about the future and desires a stable job for their only child, Ren was lucky enough to have the full support from the family and chances to pursue his dreams and accomplish goals in feng shui and spiritual life. “Many people come to me to looking for luck, love, wealth, and health, hoping that I could controlling the powerful forces of ch’I (nature engery) to bring success into their lives. What I really does is to allow people truly understand their future, so that they could get ready for what might become and helps them to better prepare for it. In this way, one can maximize their potential and control their own destiny.” Master Ren said this to me, he hopes that more and more people could have the chance of learning how to use feng shui to eliminating every obstacle standing in the way of contentment. Just as the old Chinese adage says: Fortune, Feng Shui, virtue, and learning are the four components that can change one’s life. Feng Shui definitely could place an important part in modern Chinese people’s daily lives. During my study, I also met with Master Nian Zhe from Ru Yi Zhai – an organization trying to promote traditional Chinese culture. Unlike Master Ren, Nian was born at a family which practiced feng shui for hundreds of years and known as an expert of face reading. Chinese doctors have used the ancient art of face reading since the time of Confucius as an aid to diagnosis and a way of helping their patients. Close observation of the face afforded them a deep knowledge of the personality of their patients. There were also professional face readers during this time that combined the roles of priest, astrologer and counselor. They were well-educated men with great compassion for human frailty. The Chinese understood the concept that the face represents the energies, health and fortune of a person and they wished to live in harmony with these, and with the prevailing energies of the five elements, yin and yang, and the seasons. Personally, I think that feng shui is related to everything in our life and we can utilize our Man Power (our attitudes – good deeds, better learning and hard work) and the Earth Power (our environment – favorable Feng Shui) to neutralize the Heaven Power (our time of birth – what we have inherited from our parents and our previous lives). Ultimately, you are the real creator of your own fate. When you change your heart, you change your face and your ch’i; when you change your face and your ch’i, you change your fate.